Darius Bahadurji is the Chairman & Managing Director of Vantage. He and his wife grew up in Calcutta, and shifted to Chennai to launch Vantage. It was initially a very basic set-up with just two employees, big ambitions and slow, small projects. Through sheer grit, hard work and a few committed clients, the business gained momentum, with branches in Coimbatore and Madurai in Tamilnadu, and further in Bangalore, Hyderabad and Cochin covering the Southern Region, as well as in Mumbai and Pune. A philanthropist by nature, he is the benefactor of many educational institutions, old age homes, orphanages and charitable organizations, besides supporting the less privileged amongst his staff. He is a pillar of his community, offering and providing support, often even before it’s need is expressed. He has an innate ability to connect with people, relate to individual circumstances and offer counsel and support. This quality is brought forth in the long and loyal service of his employees. He is a member of the World Presidents’ Organization (WPO) – a global organisation founded to create better leaders through education and idea exchange. Darius Bahadurji is an avid reader of non-fiction and business management books, loves to travel with his family, meet old friends and new people, always seeking to extend his understanding of people, life and work. 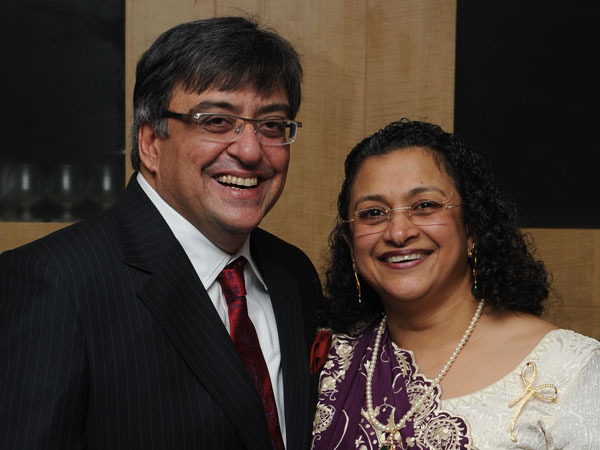 Tehnaz Bahadurji is a Director of the company, and a dedicated supporter of her family. She is an avid reader of fiction and non-fiction, fond of traveling, music, dance, drama and art, and a spouse member of the World Presidents’ Organization (WPO). She is interested in learning about the world’s religions, promoting personal education and development, and committed to the welfare of the underprivileged, besides being an enthusiastic promoter of rainwater harvesting and ecological practices, long before they became fashionable. In their life and work, the husband and wife function as a team, so as to find the best way forward. Since its inception, she has been a champion of the cause of the company, and has always stood up for the welfare of the company and the happiness of its employees. Tushad Bahadurji is a Business Management graduate, and has interned at Ogilvy & Mather (Account-IBM). He joined the company in April 2009, and is currently overseeing the busy Bangalore branch activity. He stays on top of information in the organization and has a keen eye for detail and strategy. Tushad is simple and charming. His interests are many and varied, covering football, gadgets, pets, cinema and music. Rishad Bahadurji is also a Business Management graduate. While he has breathed and lived outdoors from birth, and through childhood, his new role will see him involved in every aspect that goes in to form the business. With a perpetual smile on his face that complements his demenour, this young man also loves football, squash and computer games.